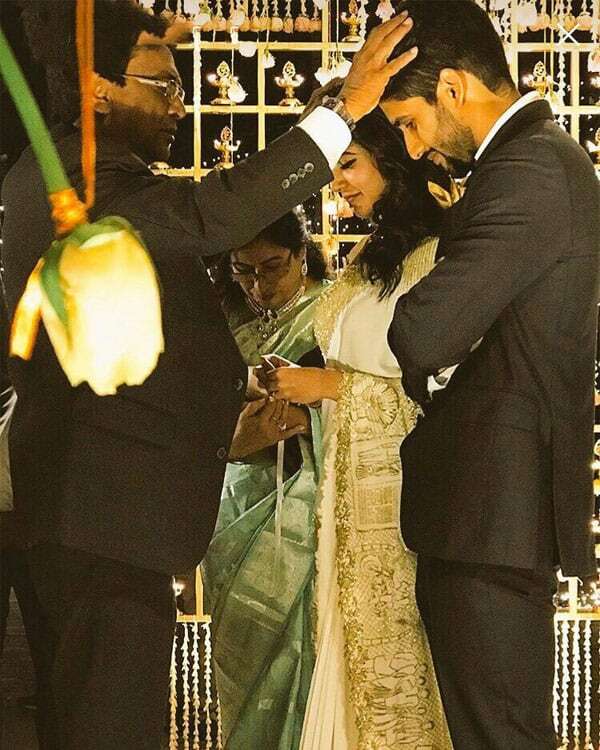 Naga Chaitanya and Samantha Ruth Prabhu got engaged in an intimate ceremony held by the families. Here are 10 pics that sum up the engagement ceremony. 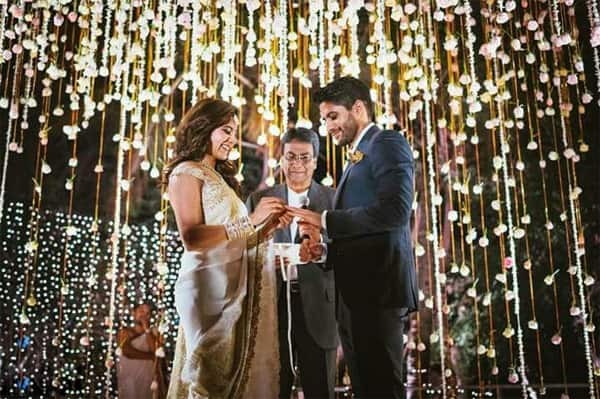 Tollywood’s favourite couple are finally engaged! 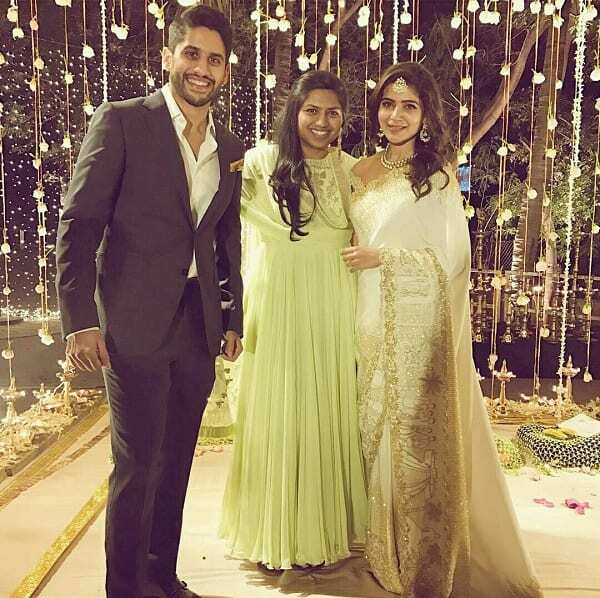 Naga Chaitanya and Samantha Ruth Prabhu got engaged in an intimate ceremony held by the families. Only close relatives and friends were present for the occasion. They looked so much in love that we couldn’t help swooning. Ever since their first film that released in 2010, fans have gone crazy over ChaiSam love. After years of denying, Sam finally opened up about Naga Chaitanya and stated how they are seeing each other. Since then, there was simply no stopping the diva from putting up posts and videos of their lovestory. On Samantha’s Instagram, we’ve seen so many pics and posts of hers where she dedicates to Naga. We had reported how the duo will be getting engaged and exchanging the rings today. 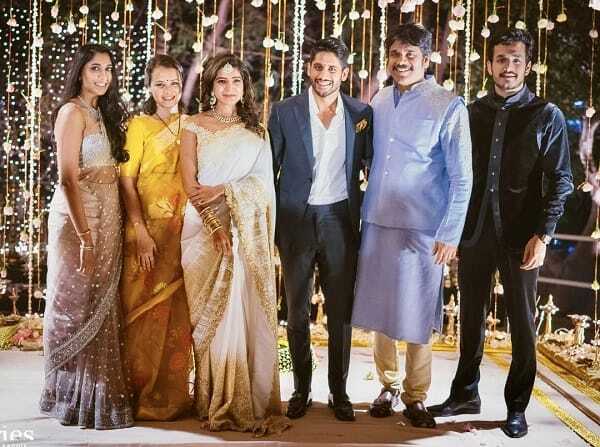 Present at their engagement ceremony were the Akkineni family and Sam’s family. We have found 10 pics from the occasion which totally sum up the evening. There were a lot of rumours of Sam-Chay that started to do the rounds last year. Sam herself confessed that she had found her Prince Charming, in an interview, without revealing the name. Of course, after that Sam and Naga were spotted at the screening of her movie AAa. Since then, rumour mills buzzed over what’s cooking between these two. They managed to hide their relationship for quite a long time. 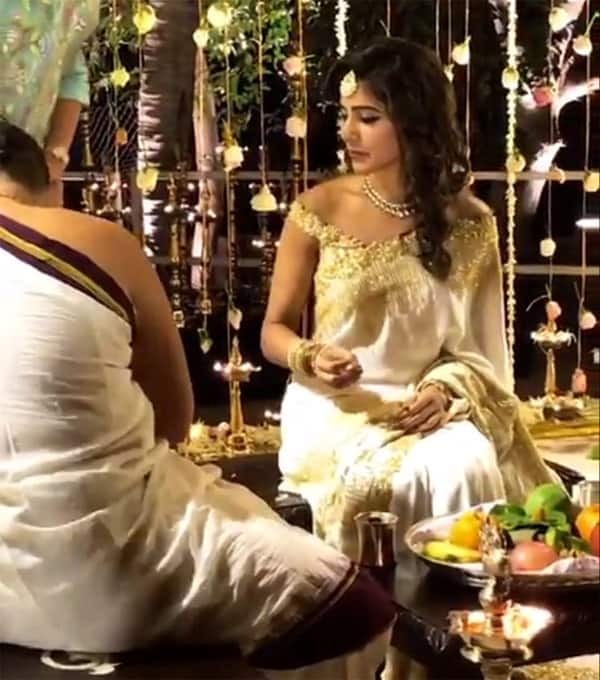 However, it was in September 2016 that Samantha finally opened up about her relationship with Nana Chaitanya. In an interview with a leading portal, that she is in a relationship with the Tollywood star and that they’re very serious about each other. Anyway, scroll below and check out their pics from the engagement. On a professional front, the duo have quite a lot of projects in hand. Sam has had a rocking year as her films fared really well at the box office. Even Chaitanya’s releases had a very decent figures in terms of collections. We are super happy for the couple and can’t wait to see them get hitched! What about you, BollywoodLifers? Tell us in the comments section below. Stay tuned to this space for hot scoop and latest updates.